Does your family ever feel too busy? Perhaps even way too busy? 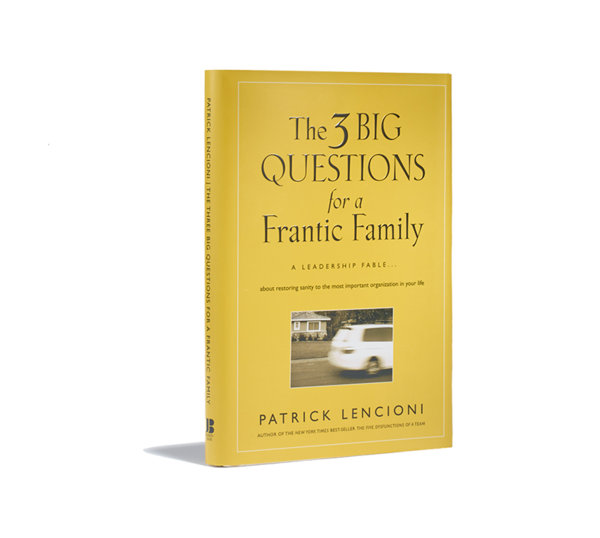 The Frantic Family Workshop is a 1 1/2 hour workshop led by parish volunteers, and hosted by parishes, designed to help either single-parents or spouses answer the 3 Big Questions from the book The 3 Big Questions for a Frantic Family, by Patrick Lencioni. Facilitators for this workshop are Dino and Cathy Durando. The cost is $30 per family and includes a copy of the book and handouts.